Adult merchant services providers are designed to help online businesses in a digital industry that has seen its revenue grow 10.4% over the last five years to reach $568 million in 2018. The online adult entertainment space continues to grow, but each of these businesses faces a series of challenges when seeking to monetize their content. There is a high degree of risk in the industry, pushing most mainstream payment processors and traditional banks to turn down adult entertainment businesses when it comes to merchant accounts. Specialized adult merchant services providers are equipped to deal with this degree of risk because they contain the expertise necessary to help these businesses minimize risk and grow in a responsible way. 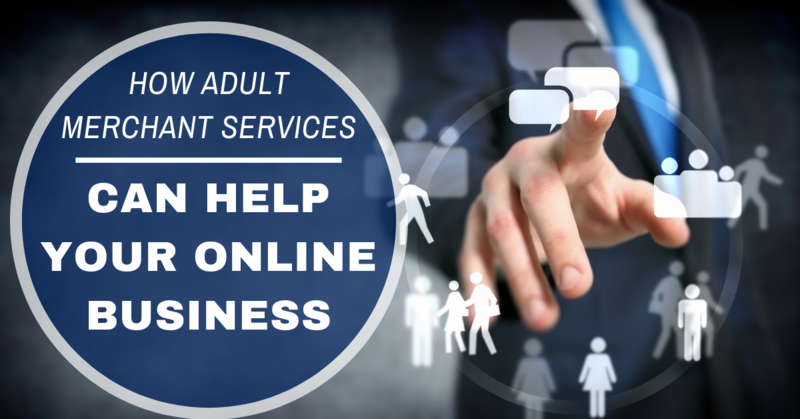 Here’s what you should know about adult merchant services providers and how they can help your online business. Online adult vendors often have a higher rate of chargebacks than other businesses. The card-not-present space, as a whole, is at risk for increased chargeback as purchases made online are a riskier proposition. It is simply harder to confirm a person says who they say they are when authenticating online transactions. Additionally, some unscrupulous merchants have given well-meaning business owners a bad rap by leveraging devious marketing tactics. In other cases, adult merchants face a higher number of chargebacks because it is easier to dispute charges from these merchants. The issuing bank may be inclined to side with their cardholder/customer rather than a site that offers adult services simply due to reputation. It is also quite risky to work with online payment aggregators such as PayPal or Square as these aggregators do not typically cater to this industry. In some cases, an adult merchant may be able to sign up with a payment aggregator; however, most will find that their accounts are frozen or terminated after a few months. The high number of chargebacks tends to make aggregators skittish, and they will freeze a merchants funds. A specialized adult merchant services provider can help guide you through the application process, which is simple and straightforward. You will have to share a valid, government-issued ID such as a driver’s license, a bank letter or pre-printed voided check, your last three months of bank statements, your last three months of processing statements and your Social Security Number or Employer Identification Number. The process also requires an adult merchant services provider to look into your business and the types of products and services you offer. This is part of the underwriting process to ensure legitimacy of your business and to validate the business is running legally and following all industry regulations. The underwriter will then analyze the business to determine the risk level. This is where it is highly beneficial to work with a specialized high risk processor that caters to adult merchants. These types of processors understand the ins and outs of the industry and are not as risk averse as traditional payment service providers. Following the application process, an adult merchant services provider will help you streamline your payments operation from end to end. They can help you choose the right payment gateway for your business as well as a customized suite of fraud prevention tools to minimize fraud and security risks. Great payment service providers will also act as an advisor to help you grow your business by optimizing the payments flow. In most cases, working with a specialized adult merchant services provider yields lower fees than a merchant would get working with a provider that has a lower tolerance for high risk businesses. The right adult merchant services provider will offer a PCI-compliant gateway, which allows for 24-hour funding of transactions. Additionally, such a provider should have an SSL-encrypted server to ensure that your customers’ payment information is secured at all time. The payment gateway should be flexible enough to accept all major credit cards as well as alternative payment methods. International merchants are also set to benefit from such a business, which can assist you in adding multi-currency solutions so your content and services can be enjoyed around the world. Having an adult merchant services provider with a global reach and the right connections is key for any business seeking to expand. As previously mentioned, there’s a larger number of chargebacks associated with the adult entertainment industry. Finding a payment services provider capable of managing and reducing chargebacks year-round is critical for high risk businesses.